This 2'' ID fuel filter bracket was designed for Aeromotive fuel filters. 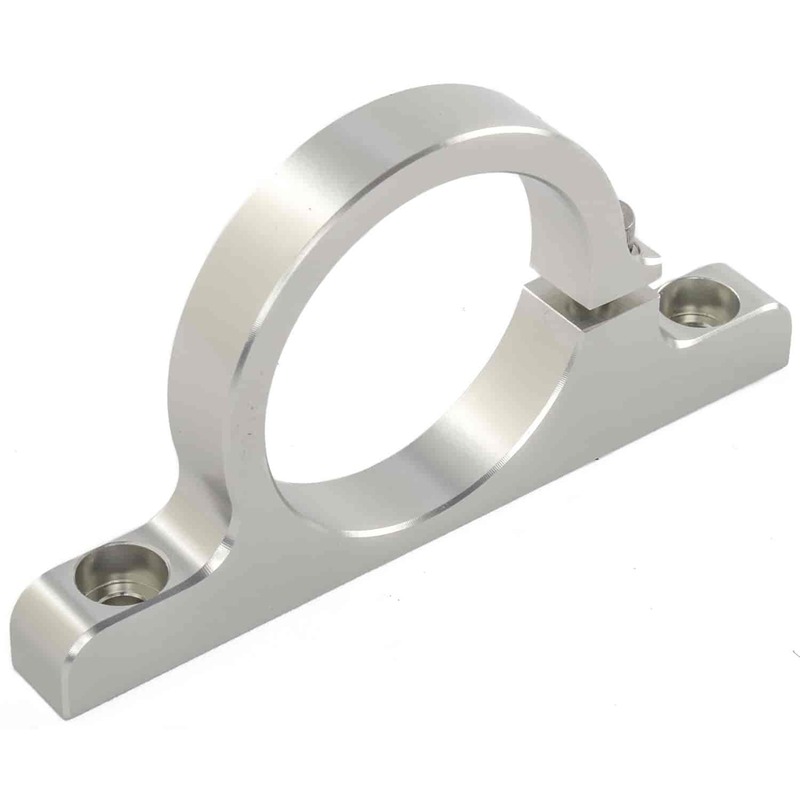 Like all Aeromotive billet fuel system components and accessories, this filter bracket is CAD designed and CNC machined out of 6061-T6 aircraft aluminum alloy. Type II clear anodize provides corrosion protection and great looks. These fuel filter brackets are designed for Aeromotive fuel filters. Like all Aeromotive fuel system components and accessories, these filter brackets are CAD designed and are available in billet aluminum and rubber-coated spring steel.